I must have been about 10 years old when my aunt and uncle had gone on vacation in Canada and I spent the nights (weekends) with my older cousin. With an entire house to ourselves, you can only imagine the commess (creative trouble) we got into. It was about 11 pm one night when we decided we’d make fried chicken. 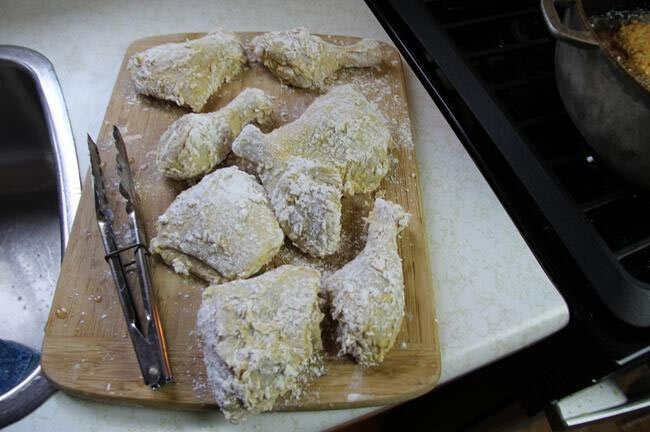 Beyond the total destruction of the kitchen (oil and flour everywhere), we ended up with bland over-cooked chicken. As with any true Caribbean child, we employed the use of peppersauce, ketchup and mustard to salvage things. By the end of that August Holidays (aka Summer break) we had not only perfected our fried chicken recipe, we started inviting friends to sample. 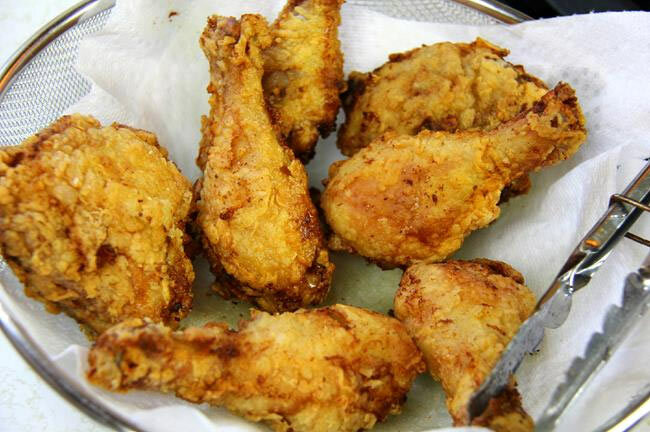 The following recipe is totally different than our childhood one, but that was the start of my affection for fried chicken. Note: for that true heat and authentic Caribbean flavor I recommend you use a Caribbean peppersauce (hot sauce).. there are several recipes on this website if you can’t source one in your grocery. 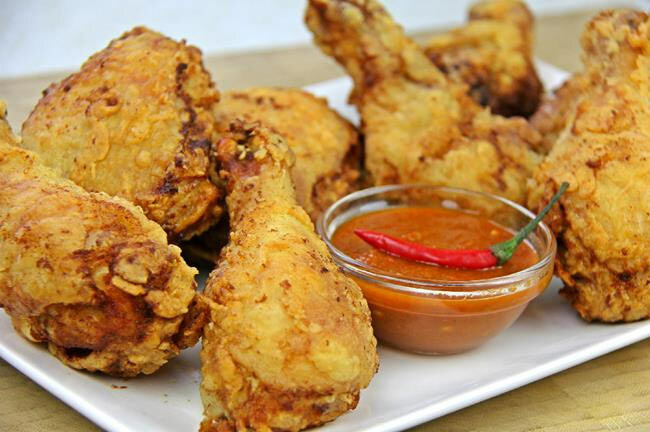 While it’s a spicy fried chicken, you can obviously cut back on the heat level or kick it up further, to your own liking. 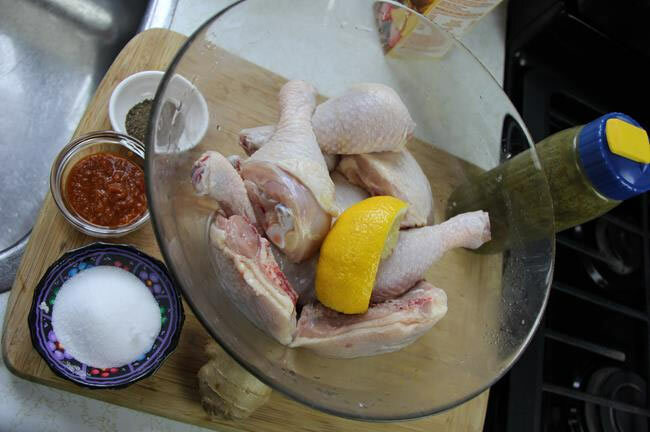 Trim off the excess fat and skin off the chicken (please don’t remove all the skin.. you don’t have to eat it later) and wash with the juice of a lime or lemon (not mentioned in the list of ingredients) and cool water. Drain and season with everything mentioned in the ‘seasoning’ part of the ingredient list. I like mixing everything, then adding the butter milk last. 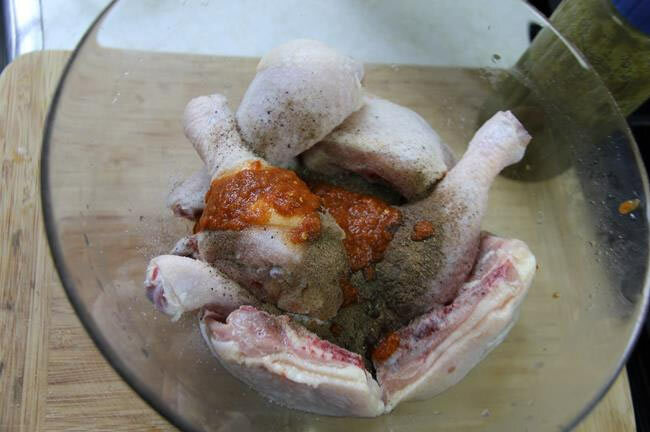 Cover and allow to marinate in the fridge overnight for best results. If you’re pressed for time, 2 hours marinating will work on too. When I don’t have buttermilk, I usually use a beer. After marinating, drain, but save back about 1/2 cup of the brine/marinade. Add that marinade to the eggs, curry powder and hot smoked paprika (add more peppersauce here if you want) and whisk. Then mix the flour and corn starch in a separate bowl. 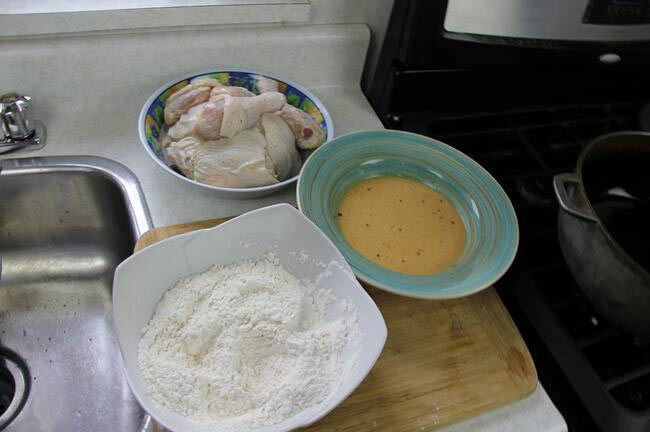 While your veg oil heats on a medium flame in a deep pot, coat the chicken pieces with the egg mixture, then roll into the flour.. tap off the extra flour. I usually do all the pieces and set aside so when I start frying they’re all ready to go. 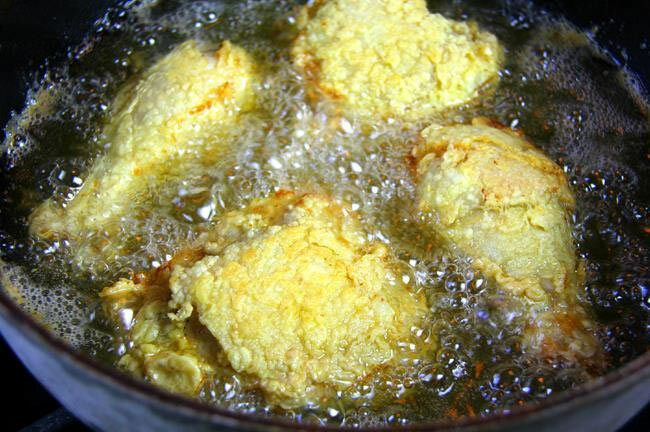 Slowly add 3-4 pieces of the chicken to the pot, so you’re not splashing hot oil on yourself. 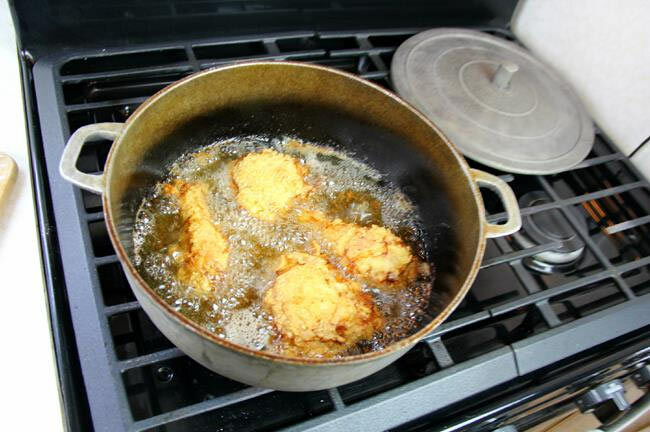 By not crowding the pan, you’ll end up with an overall better ‘fry’. 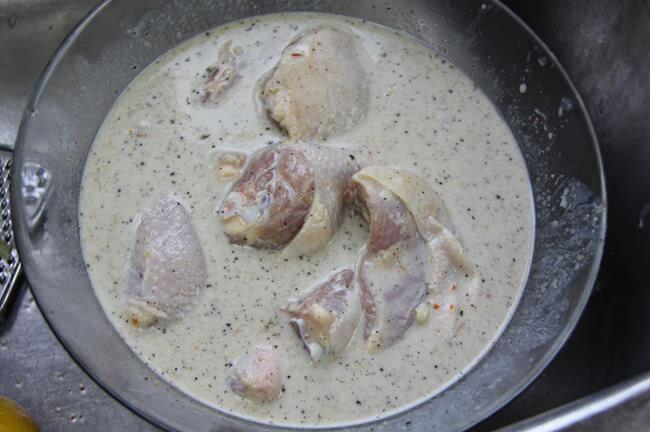 Depending on how big/thick your chicken pieces are they should be fully cooked and golden between 25-30 minutes. Please DON’T fry on a high heat or it will go brown very fast and be under-cooked in the middle. 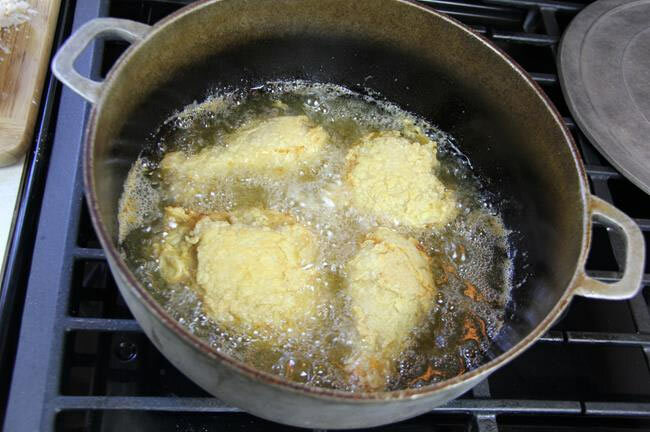 Remove from the hot oil and drain on paper towels as you fry off the other pieces. You can sprinkle them with some sea salt if you like. I’m cutting back on my sodium intake, so the salt from the marinade was enough for me. Yes, this will be very spicy, but I assure you if you’re a fan of heat.. this will be one of the best fried chicken you’ve ever enjoyed. Yes, get your “Caribbean” on and serve it up with ketchup, mustard and peppersauce!